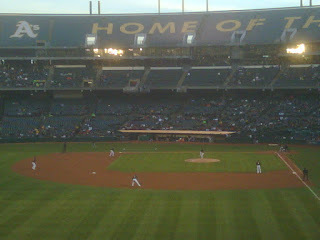 Tomorrow I head across the bay to see the A's take on the Mariners. 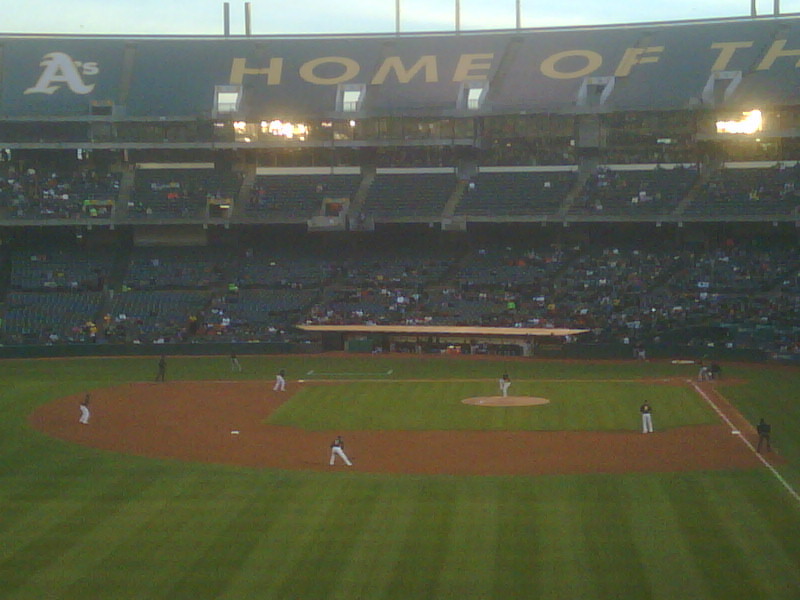 Last time I saw a regular season game in Oakland, it was the A's vs. Mariners right before the 2007 All-Star break. Ichiro scored and was standing around home plate as the play continued, the ball got away from the catcher and ended up under his feet. The catcher pushed him out of the way, and a big bench-clearing fight ensued. I was in the sixth row right behind home plate and got to see my first big brawl up close. A short summary is here. I also caught a pretty well-hit home run ball during BP from someone on the Mariners (no idea who). I'll be bringing my camera and taking some pictures - not sure if I'll be able to get any action shots but I'll sure be trying. I have okay seats. I never really get excited. I was excited about a lot of stuff as a kid, but things kind of mellow out as you get older. This year seems to be different. Maybe because I'm more involved in the baseball community, by writing this blog and reading so many others. Maybe because I have more time to think about things other than work. I haven't been excited about opening day in, well, forever. Baseball seemed to be more of an afterthought the past few years. But after going to the A's-Giants pre-season exhibitions on Tuesday and Wednesday, and securing a ticket to Friday's home opener in Oakland, I'm excited. 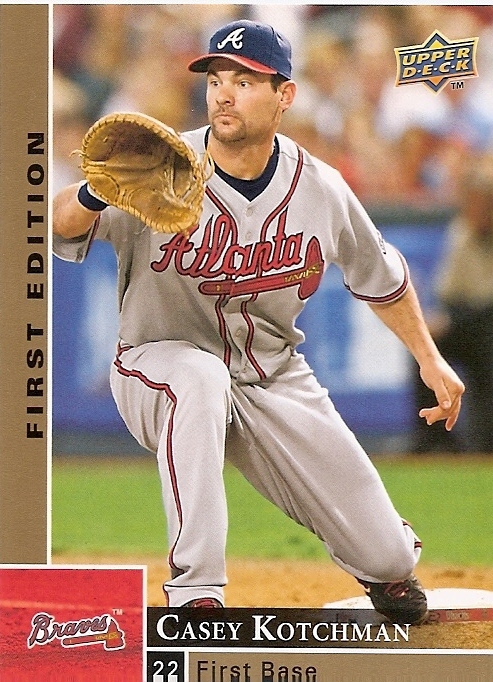 I think the constant almost-but-not-quite performance of the Braves for the last 15 years had removed the excitement. But this is a different town, with different fans and a different team. There is baseball talk in the air here. It's fun, and it's exciting. So enjoy these "not-quite-game-time" pictures I took earlier this week as you take a break from watching today's opening day festivities. Or maybe while you are watching! After all, it's the baseball game that brings you the baseball cards! While I was at the show this weekend, I picked up some stuff to offer as trade bait. The images above and below are also available for trade! Just poke around my lists (linked on the right side). I'm actually pretty easy with trading, I think. I dunno. Any comments from the small (but growing) peanut gallery? I think all the T206 are variation backs. 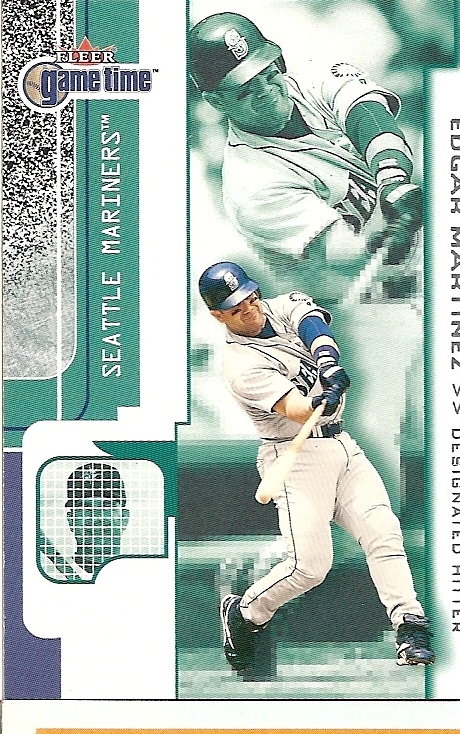 I'm not familiar enough with the Chicle and T206 sets to know which are special or not. If you care to know which back is on a card, just ask! That Bowman's Best of David Ortiz up top is a nice shiny. I almost want to keep it and frame it. I really like the National Chicles. I already have a set. The pictures are nice - a bit different. That kind of art would be great on a Topps version of Diamond Kings, bold basic colors, simple backgrounds. It's a shame Chicle didn't take off. 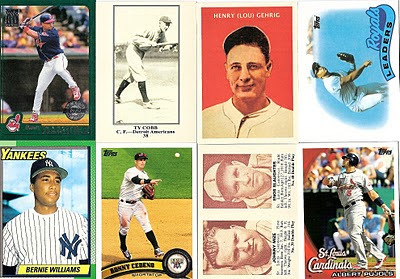 Compare that to the T206 art, which generally has a more detailed, realistic, old photos-turned-to-paintings look, which I suppose throwback sets should have. And one last side note. I'm horrible at saving things. If it wasn't for the auto save feature on most programs, I would lose documents-in-progress every time my computer restarts for one of those automatic updates. And as for blog posts - well, I just closed this window by accident. All could have been lost (as if this is such a lengthy post), were it not for that fabulous auto save feature Google/Blogger uses. What's a guy gotta do to get a dime box up in here? I feel like a broken record, but every time I go to a SF Bay Area card show, I realize that I really miss the Atlanta card shows. Every month there are at least a couple good ones - usually with the same dealers, but there's always some different stuff. And quarter boxes, dime boxes, all kinds of fun cheap stuff. And pretty much every table has cards - in fact, I don't remember not seeing cards at the usual tables. Sure, some people also have some memorabilia, but around here at least half the tables are just action figures, photos, and other non-card stuff. Maybe that's why shows aren't so successful around here. Cheap stuff is usually what makes a dealer's bread and butter - I've heard multiple dealers at many different shows say it. These are some of the cards I picked up from the angry guy. They too went into the Sampling Collection (the Griffey is one of those Throwbacks from a couple years ago). And then I picked up maybe 50 or so cards that ended up in Awards and Leaders and some trade bait stuff. 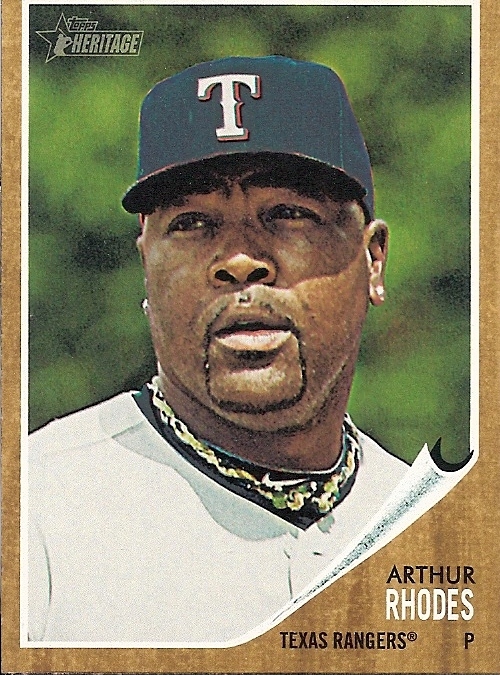 I like the '92 Bowman design and ended up with several of these throwback cards in my stack. The 50-cent guy sold me these for like a buck each or so, and they too are headed for the Sampler. I also picked up some cheap packs from his stack (that's a post for later) and some additional trade bait. And of course some cards for the Awards and Leaders collection. I couldn't believe I found a red Team USA auto for a buck. The jerseys and autos are the most expensive part of the modern collection, usually, so it's always good to find some cheap stuff! I was shut out on boxes. Nothing interested me. Signature Stars was about the only thing there that I hadn't seen. Any thoughts? I see this guy all the time, so I could pick up a box whenever the next show is. Would you be a part of a break with that in it? Or if you opened it, was it a decent product? What would you pay for a box? I have a bunch of trade bait that'll be coming in my next post. And I have a bunch of other new stuff to tell you guys all about! All in due time I guess. My baseball season has begun! Giants at Athletics! Potch (Darren) of the new blog Potch Wheeler and The Cardboard Heroes (what a cool band name!) contacted me offering to trade some of our 2011 Topps cards for our mutual benefit, and he tossed in a few cards to knock out some of my Awards and Leaders needs. A great quick trade! He's building some Topps sets from the past 35 years, and is a fan of three different teams, like I am. Not the same teams, mind you. But I don't hold that against him. Hopefully he'll get his player lists together and I can help him out some more! It's time to cue up your favorite baseball movie! It's happening! The season is here! On Thursday, the Tigers face the Yankees and the Braves are at Washington for the first games of the regular season. 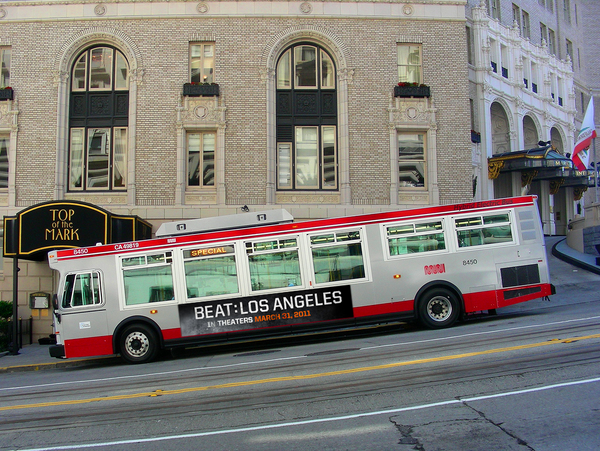 My local Giants head to LA to face the Dodgers that evening. But meanwhile, the preseason winds down with some final exhibition games. The Giants and A's do a bay area rivalry thing this week - the Giants beat Oakland 4-3 tonight, and head across the bay to the Coliseum tomorrow (Tuesday) night. Then a day game on Wednesday before heading to LA. Going to games is a big part of my baseball life, though. I went to my first two college games this month, and I'll be heading down the coast to the LA area on a 10-day, 8 game local road trip in a couple weeks. I'll post some of the details as I finalize the trip! I'm quite excited, actually. I've been planning this trip for years. And I may drop down to San Diego for a game at Petco Park. I've been to the three big league parks, but I haven't seen a game at Petco, and it's been 5 years and over 20 years for the Dodgers and Angels, respectively. So, back to the title in the post. What do you watch to kick off your season? I go for Field of Dreams, A League of Their Own, and the Major League series. I wonder what Netflix Instant has available right now? If you're like me, and you probably are, you can't wait for the next release. It seems like Opening Day came out right in time to replace my waning interest in Topps (being that I have nearly finished the set). But then Heritage came along right after it, running it over like a Hummer overtaking a Geo Metro. But what's next? And what are my plans with each set? You probably know about all of these releases, but here they are, all together, with some random short commentary added in. Links will take you to the sell sheets. Of course, stuff will move around, it always does. April 6: Tribute. This stuff is way out of my price range. Six hits per box, plus parallel sets and of course the base set. This is a set that looks good in its simplicity - it is a fitting design to honor some of the greatest. Of course all the autographs look stickered, but at least the stickers match the shiny hit cards. 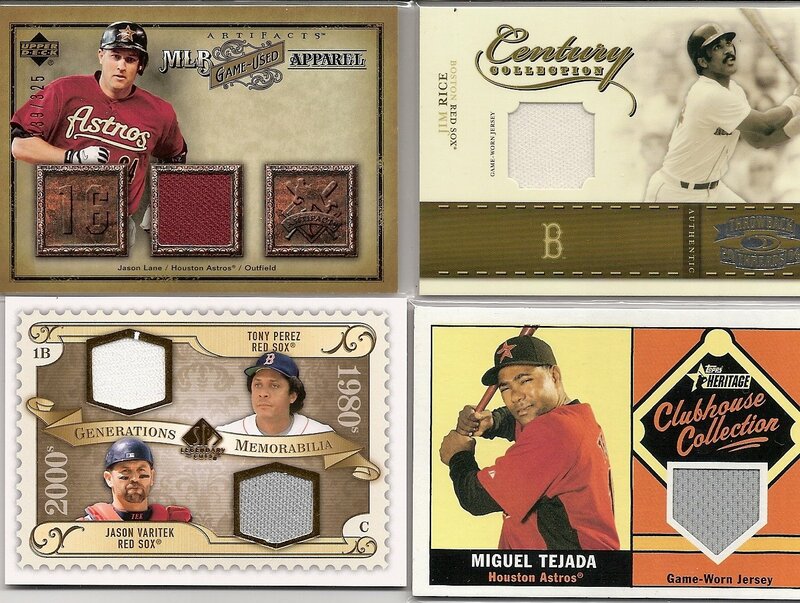 I kind of like the design on the parallels. I say parallels because the sell sheet doesn't show what a base card looks like. I guess nobody who pays $250-300 for a box cares about the base cards. This comes out in a week, apparently. 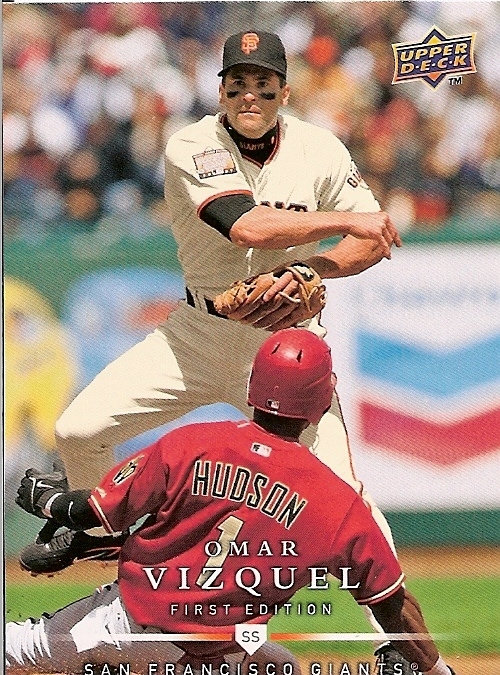 And to whoever pulls that Ichiro patch book, I'll give you $50 cash. In small bills if you want. Yup. Fifty big ones. I'm a big spender. April 20: Gypsy Queen. 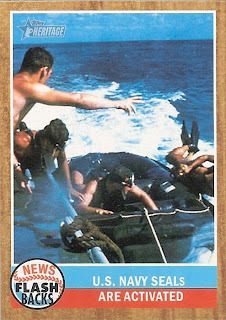 Less than a month away, this is the next big thing for average collectors, or so Topps hopes. I'm going to have a base set, but there are also nine parallel versions (including the minis) and eight forms of autographs/relics. Inserts are fairly minimal - three sets with mini parallels, plus the Gypsy Queen with auto and relic versions. This feels like Allen & Ginter with only baseball. Or I guess a replacement for National Chicle. April 21: Topps Attax. I like that Topps is pushing the "game" aspect of this more, and while $2 for a pack of cards can be a lot of money for a kid, $8 for a full starter kit seems pretty good. I don't see any mention of parallels or insert sets - which means this is strictly a game set. Maybe some of the cards will be rare, maybe not. However, I did notice that there will be mascot and ballpark cards which must figure into the game somehow. 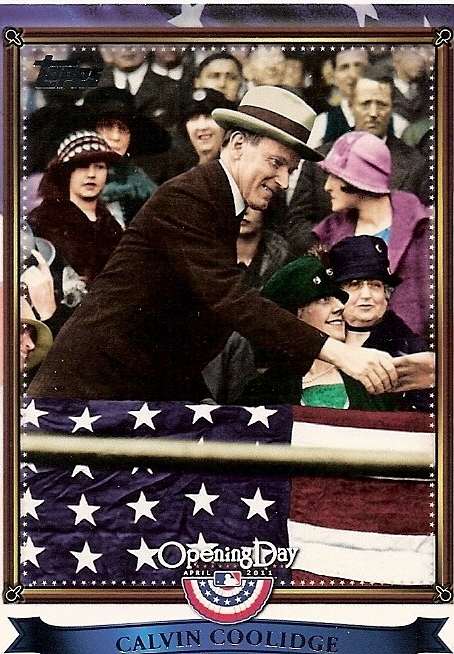 I would like to put together a set of the ballpark cards. Why is this being released the day after Gypsy Queen? May 11: Bowman. Everbody buys this set for the rookies. Or do they? Does Platinum replace this as the RC set? 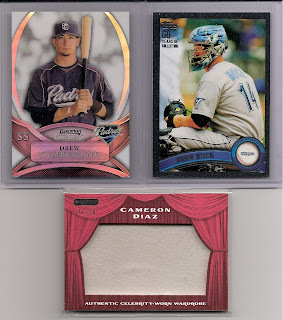 I don't do rookie speculating, so I'm not big on collecting Bowman. 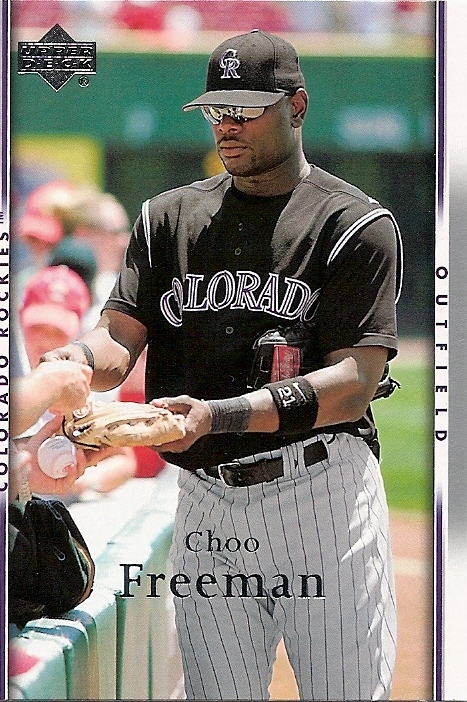 I bet if I went through all my old Bowman cards there would be a few lucky hits in there somewhere. Anyway, this year's set looks basically the same as before. 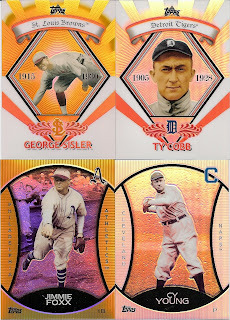 And as usual, there are gold, blue, orange, red, and plate parallels. They're adding an International parallel with a map in the background "pinpointing the respective player's birthplace." If these are easy enough to find, I may actually put that set together. Once again there are all the autos and relics and USA stuff you'd expect. The cut signatures seem interesting in that they're in book format with an original '48 or '49 Bowman card. Good luck with that 1/1. 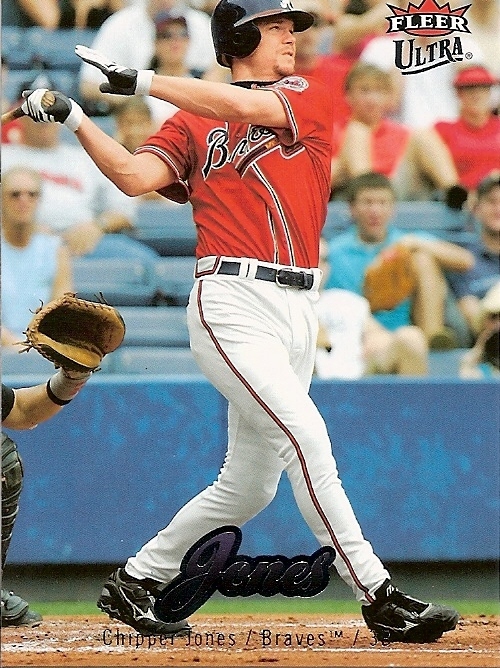 And the inserts don't excite that much either - including the rehash of the '94 Bowman's Best design. June 1: Pro Debut. 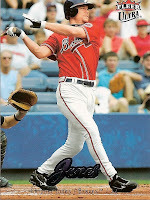 Topps reissues its minor league set, with four hits per box. 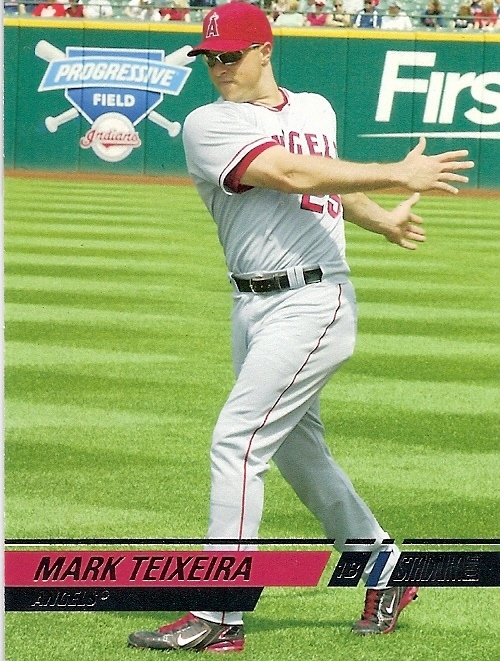 Why is Topps doing cut sigs of rookies, cut from their own cards? Why? This is a fairly simple issue - autographs, relics, and a few parallels, plus All-Star inserts. I'm not really interested in minor league sets (as I said above, I don't do the rookie thing). 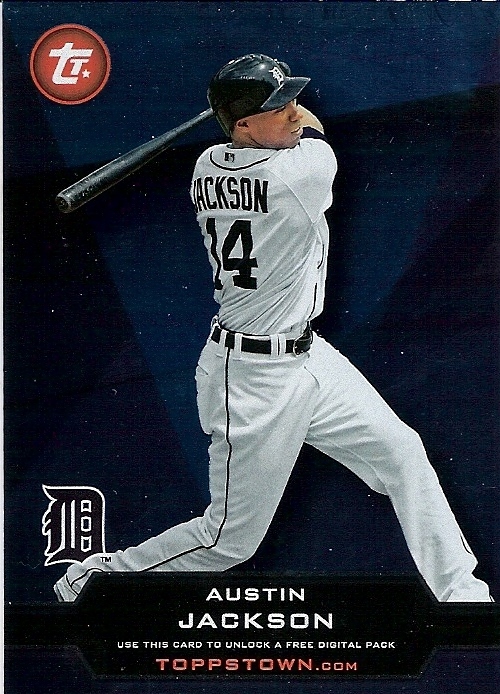 June 9: Topps Series 2. Just a week after Pro Debut, Topps finishes its flagship brand set. Well, Update really finishes it, but the card numbering restarts. Anyway, most of the Series 1 stuff returns, as expected. 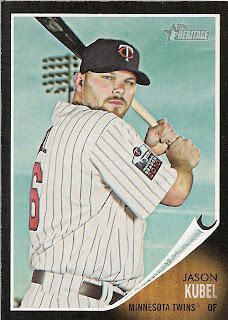 June 22: Bowman Platinum. Earlier than last year, and with four hits per box. Like regular Bowman, the design isn't great, though all that silver can look nice when refractorized. You already know this is the premium version of Bowman - rookies and prospects, with autographs, relics, and parallels. I don't really have much interest. 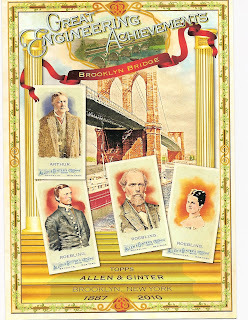 July 14: Allen & Ginter. I've already talked about this set here. In fact, it inspired me to dream up my own relic set here, here, here, here, and here (in order). 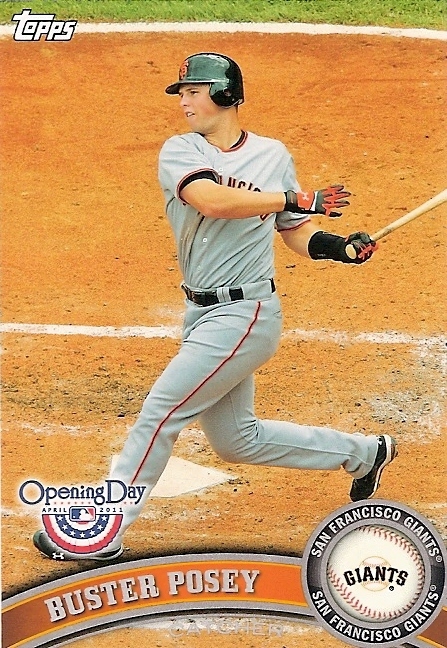 And I'll go after the full base set, and I hope to get several of the insert sets including the state relics. This will probably be my biggest interest this year. July 28: Triple Threads. Another package I can't afford, even though this is $100 less per box. But then, you get four hits per box instead of six. Of course, some of those books look awesome, and I like the look of the Unity relics (if you had all three, of course), but the design isn't that interesting to me. It's all about the hits here. Saturday was kind of a disappointment. I went to a mall card show to hopefully scour the dime, quarter, and fifty-cent boxes for fun and profit. Well, fun, and trade bait. I did find some stuff for both categories, and I'll get to that on Tuesday. But it was a nice afternoon when the mailman delivered a nice large envelope full of cards from Colbey at Cardboard Collections with my results from the break and a trade. I'll start with the break. 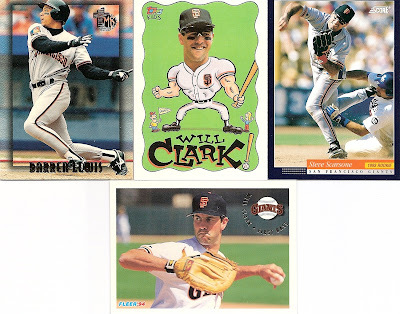 I picked the Giants and the Mariners - I was hoping to pull some nice Bonds and Griffey cards. If it was just Bonds, I would have probably gone with a different team, but I have been a Giants fan since I started collecting. 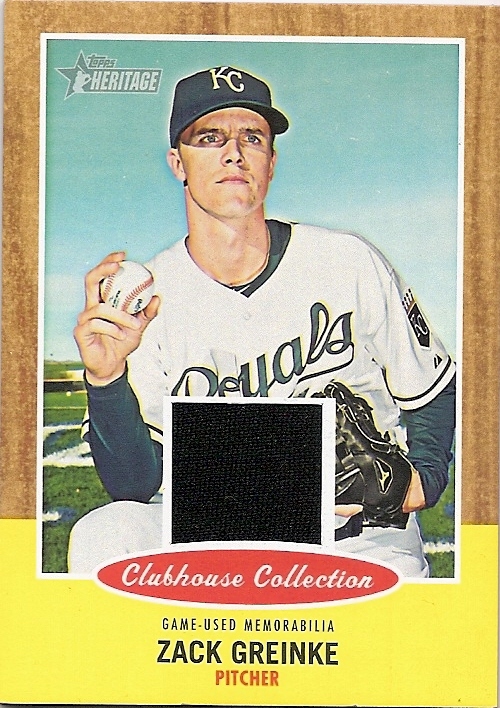 I'm not going to show everything - there's like 250 cards in the stacks he sent, you'd be bored by seeing 15 scans of cards just because, and I plan on showing some of them later some time because they just are that cool and I want to devote a whole post to them. Oh, and if you didn't know already, I love mid-90's stuff - inserts and subsets were relatively fun and interesting. I'm not really showing them here, just a few of the highlights. Jay Buhner, 1994 Fleer. Did he just hit a home run? Is he tossing his bat away or did it get loose? Is he trying to recreate the Carlton Fisk wave? And by the way, I love the shades, Jay. So cool. 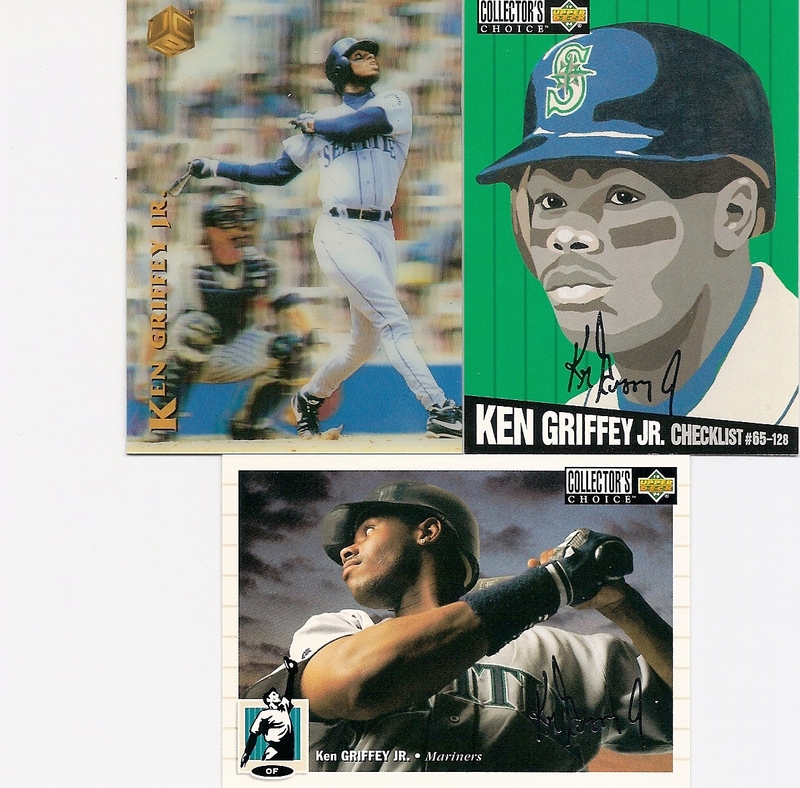 Some of the Griffey Jr. love. I like the UC3 set, even though it was a failed concept. I like 3D cards in general. And you gotta love the Silver Signatures from '94 Collector's Choice. 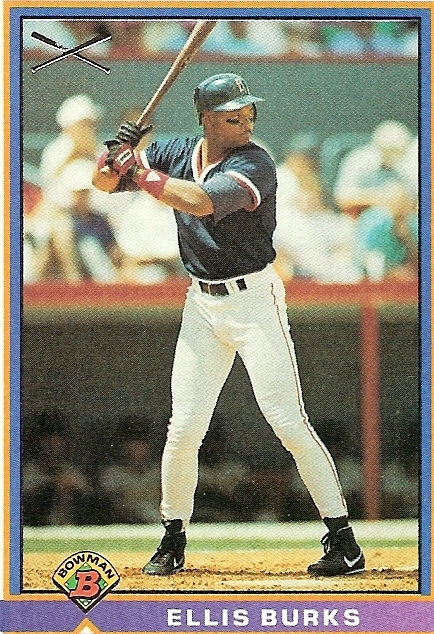 Especially that photo of Griffey for his regular card. 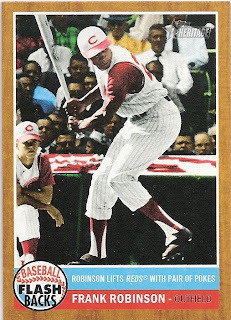 Griffey gets no love on the card value front but he started playing when I started collecting and he was the biggest thing as my interest in the hobby was in its adolescence. There were plenty of other Mariners in the group, but I'll get to them some other time! I chose a little bit more variety in this scan. 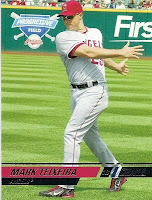 I like Topps Embossed, although it was another failed concept. Actually kind of a gimmick. Gimmicks have been the thing since the 1980s, if you think about it, with all those released theme sets (1982 K-Mart?) 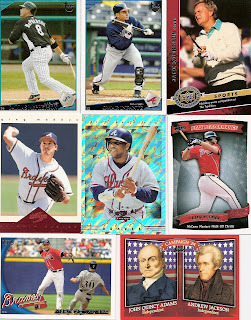 and the start of inserts (Glossy All-Stars), but the release explosion of the 1990s definitely took it to a new level. 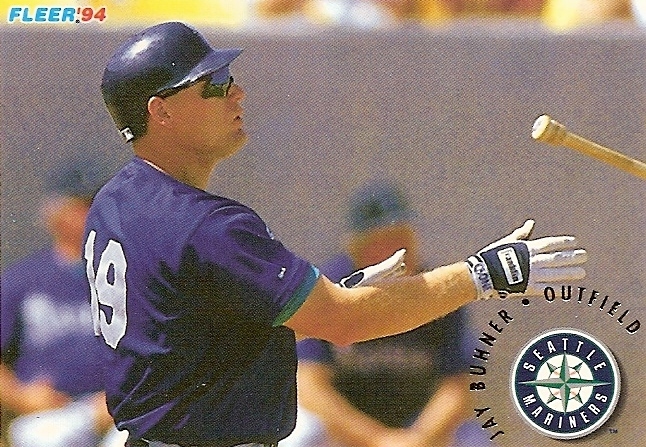 Topps had several failures in the mid-'90s, but that's a whole other post. 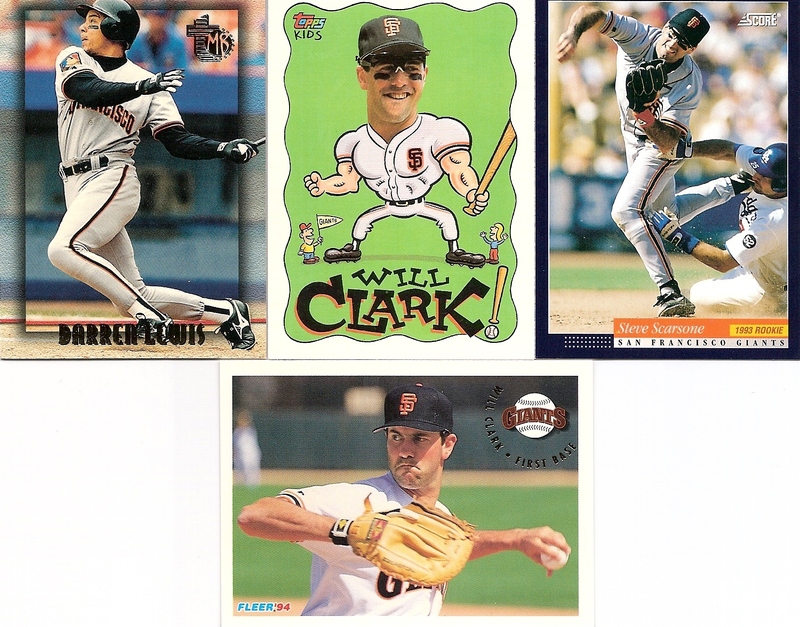 Anyway, next to Darren Lewis falling over is Will Clark in a Topps Kids release. I kind of like this set for the cartoons.I included one of the 1994 Score cards - I had a few survive with minor damage from the bad box. And I know now to buy any 1990s Score/Pinnacle products with extreme caution. I wonder if my '94 Scores are all stuck together. 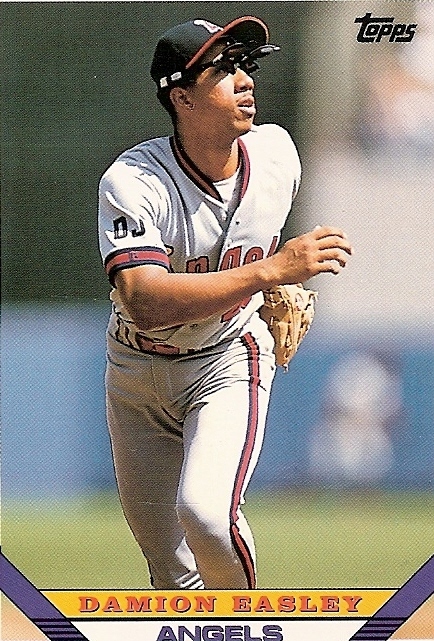 I chose that card of rookie Steve Scarsone because if you look closely enough, Tim Wallach (I think) of the Dodgers is sliding in to second, quite violently (he is literally grabbing at Scarsone's pants) and he's getting it back doubly hard (Scarsone appears to be kicking Wallach in the face). 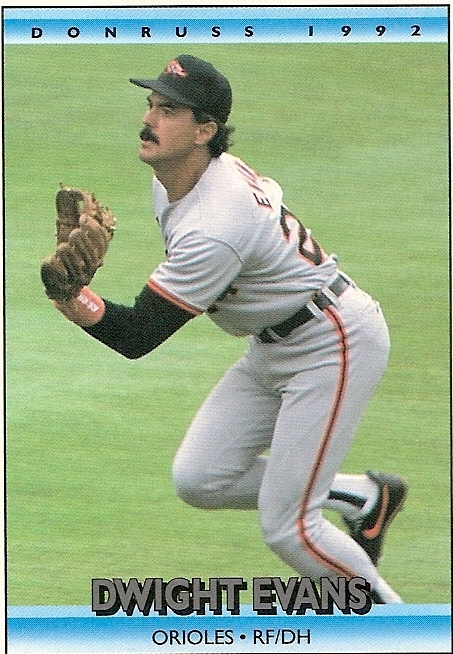 And for the last card there - the Will Clark shot - that's just a great picture, and in my mind a great pose for an art card (like National Chicle). 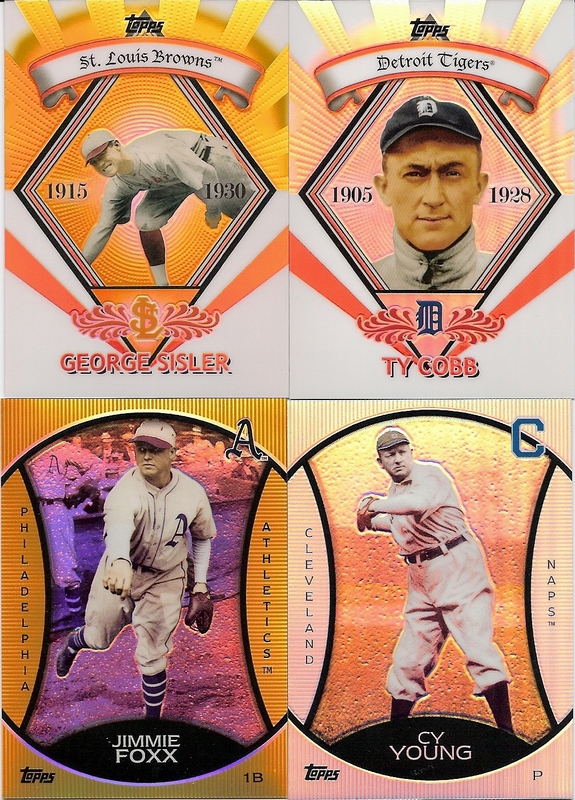 I wonder if Topps will drop the throwback idea and just release a nice artist set for the sake of being art, like Diamond Kings was. Now, the trade. We're almost done! I sent Colbey a group of 2011 Topps base and inserts, and he sent a bunch of stuff in return. One of the most expensive things for me to get are the exclusive inserts from stores like Target and Wal-Mart. 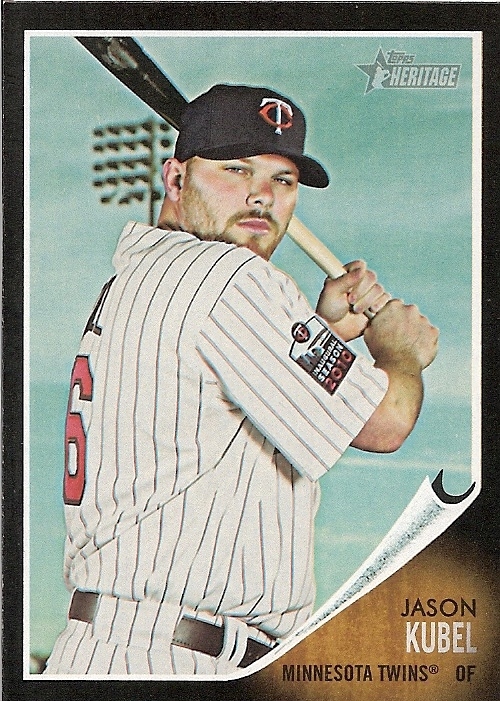 I either have to buy a blaster, hanging pack, etc from the store, or I have to find it on eBay, and I end up paying half the price of the pack for just this card. So it was great to get these. 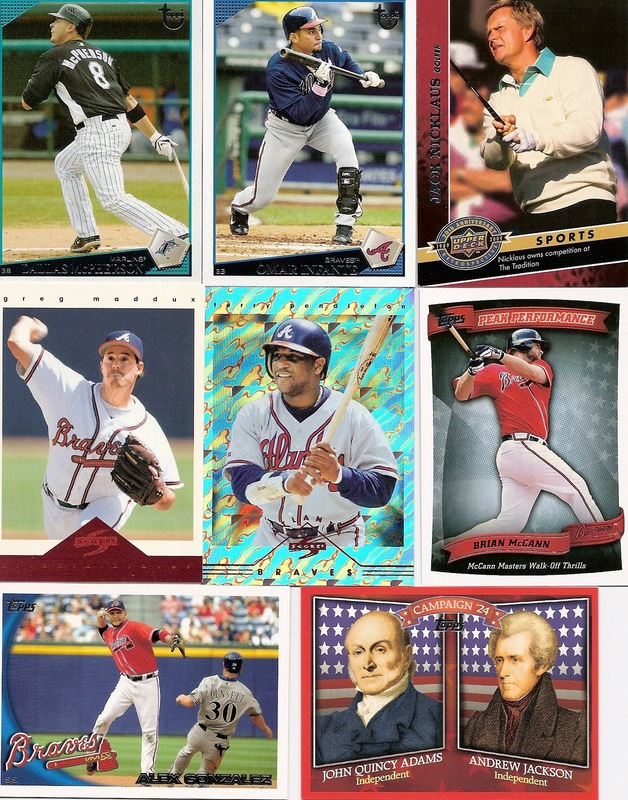 Colbey also included some odd-and-end cards I needed, and a decent selection of Braves cards. In fact, I think there might have been a full team set of those red Score cards! There were more than what's shown here, I just wanted to keep this post under 500GB, you know? The piece de resistance. Or however that's spelled. He included a relic from 2010 Topps Update! My scanner chopped off the bottom of the image. I feel like a tech newb. To sum up this long post, I loved the break. This was the first break I joined and the only one to be completed so far. (I'm part of The Other World's break next week and the two Gypsy Queen breaks.) This is going to have to be a monthly thing for me! And thanks a ton, Colbey, for the trade! I'm going to have to find something to even us up! I like variety. 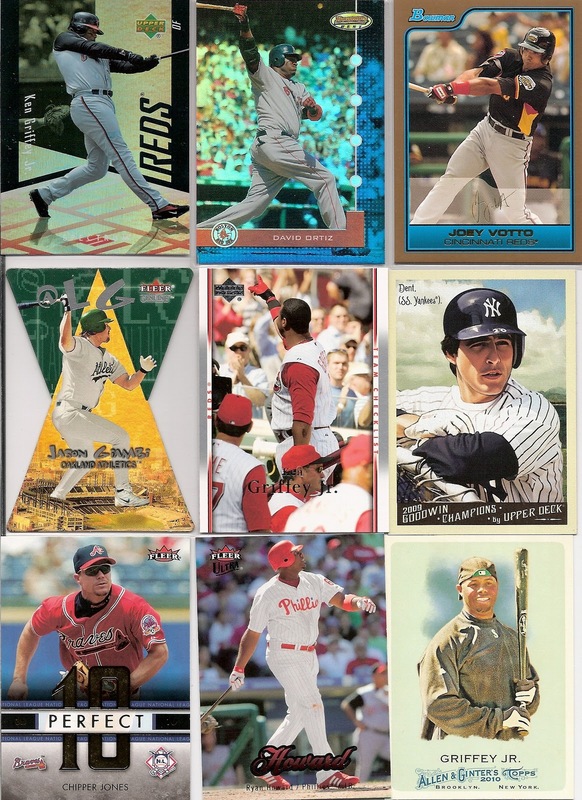 In fact, some of my favorite releases of my lifetime are those that provided a very large variety of subsets or inserts (not parallels - I'm talking 1995 Fleer, not 2005 Donruss/Playoff). And for that reason I like those variety repacks you can find at retail stores. Sure, the packs are probably searched and they're all old retail, but I buy those for fun. And occasionally, you pull something like an autograph. Last week, I grabbed a 10-for-$10 pack. So what did I pull? For player selection, this was a pretty good pack. Chipper Jones, Dontrelle Willis, Derek Jeter, Chris Carpenter, and Jeff Baker RC. 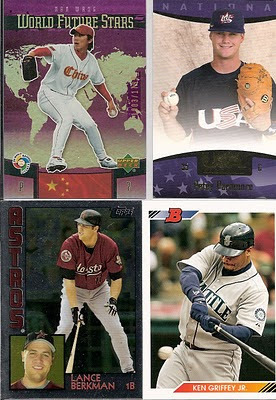 Mark Teixeira, Jorge Posada, and three RCs: Nick Adenhart, Jeff Niemann, and Greg Smith (1st Day parallel). I've decided to try to assemble this set by hand, since they never seem to end up on eBay. These cards will be a big help for that. I have most of the Stadium Club sets already, which I collect for the photography. I liked the photography in the Ultra pack, too, and I think I'm going to go back and put those sets together (or buy them complete) as well. I probably won't actively do this for a while - I would like to finish the Stadium Club and Upper Deck runs before taking on a new run. Only three and a half cards in this pack. 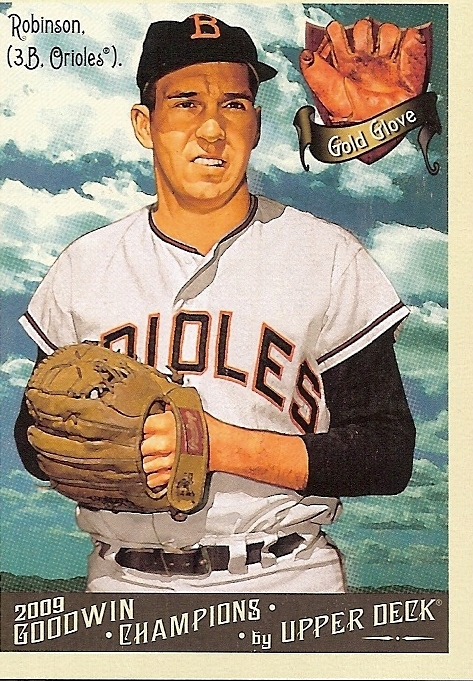 Brooks Robinson, Kevin Garnett, Daisuke Matsuzaka mini, and a 20th Anniversary that mentions Kevin Garnett. Nobody important, and no inserts. 8 cards of commonality. I have the Goodwin set completed already, but I can use at least the Robinson and 20th Anniversary. 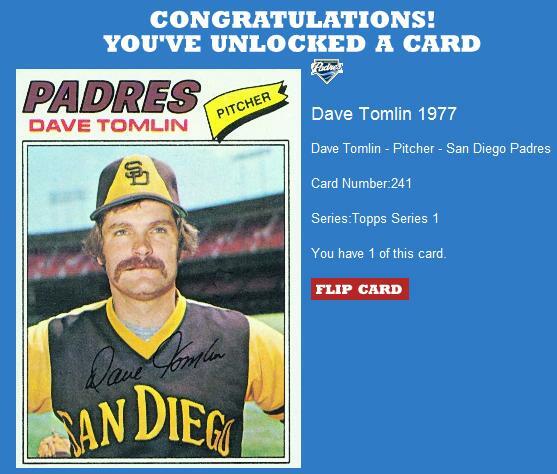 As for the Upper Deck pack, I will eventually have a complete set. I haven't even begun to fight. But what a bummer. I do like Upper Deck photography though. More on that later! 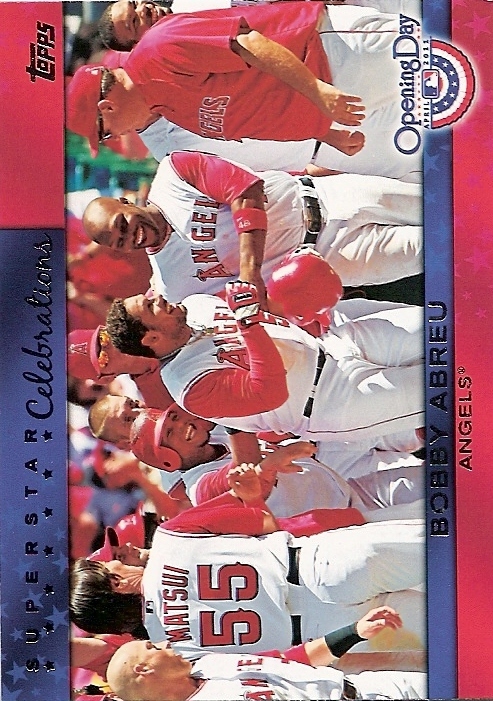 Prince Fielder, Ivan Rodriguez, and Mike Lieberthal are the highlights in this one, along with a Josh Barfield Rookie Sensations, Ryan Howard Crowning Achievement, and Steve Finley mini. Akinori Iwamura, Kenshin Kawakami, Manny Ramirez, and Hein Robb WBC. 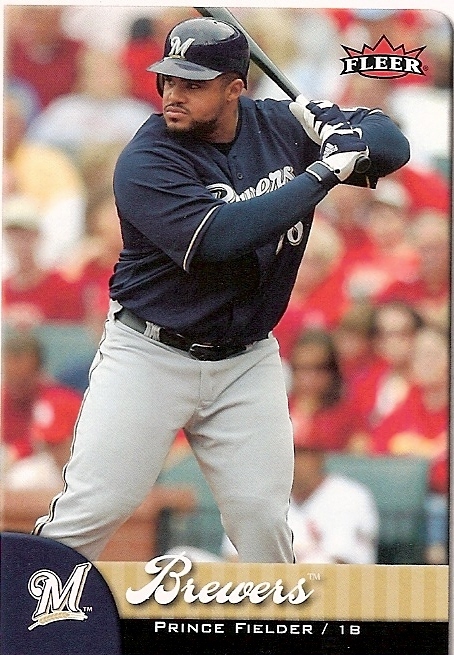 I recently picked up a factory set of '07 Fleer, but I like this issue because of the inserts. 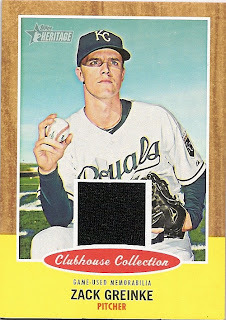 Of course, that always makes it hard to put together a set, when 30% of your cards are inserts and parallels. As for the Chrome, it's Chrome. And it isn't curled. 3/4 of the players in this pack are from a different continent. Now we're getting into the budget stuff. But what amazed me was how good the photography is in the First Edition sets. Of course, they used the same photos as the regular set, but the images look nice and crisp even in this basic release. And the design that year was very minimal, allowing more of the photo to show. 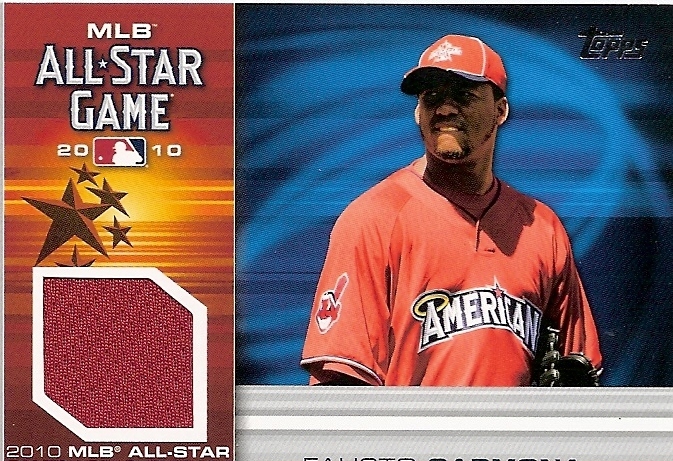 But that '07 Topps card wastes so much space with those colored dots. Not really my favorite design. But, look, two players who are actually throwing the ball to finish a double play, Topps! Too bad nobody's there to see Chase throw (look at all the empty stands in the background). Jake Peavy, Troy Glaus, Johnny Damon, Johan Santana, Hideki Matsui, Casey Kotchman, and David Wright Starquest highlight the last pack. Finishing strong. Yeah, not really. 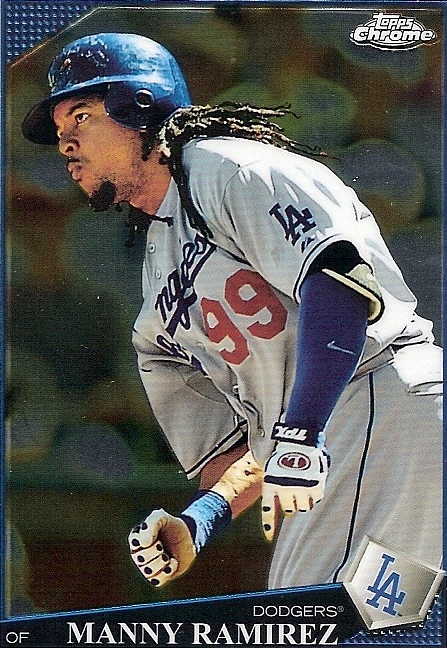 In fact, I think Upper Deck took a step backwards from the previous year, as there is a lot of "blank" space in the design around "FIRST EDITION" and the position. And four of my 10 cards were New York players (two Mets, two Yankees). Overall, I like these variety packs. I didn't get a hit, and three of the packs were Upper Deck First Editions, but it still makes for a fun rip, and is great value for collectors who have a low budget. Yeah. You know that had to happen eventually. ANYWAY, there are two Gypsy Queen breaks going on, and I'm in on both. Nachos Grande has five spots left, and The Daily Dimwit has plenty of great teams left as well! The set releases in less than a month. And I'm going to have a break soon too. I keep talking about it, I know. I have two of the three boxes in hand and the other one should be here in a few days. Plus, there's a card show tomorrow (Saturday) and I hope to find some good stuff. Maybe something with guaranteed hits. Either way, it should be fun - a cheap break with three or four boxes. Stay tuned! Now Arriving Gate M24. Or my mailbox. One of the packages I've been waiting on for a long time is the one that contained the top two cards in the image above. See, it came from overseas - Japan, actually. It came out of Tokyo proper, so I was a little concerned (for the seller, not the cards). I saw some very recent feedback posted so I knew he was okay and it was just a matter of time. And today, in the box, there it was. I do find it kind of interesting that cards go all the way from New York to Tokyo just to come back across the ocean to San Francisco (that's over 15,000 miles). It also interests/amuses me that I can get two cards shipped from Japan cheaper than Los Angeles. Anyway, I finally have my 2011 Black /60 parallel and that Bowman Platinum refractor /199. The refractor look really works well with the Platinum design. Also arriving (last week) is this giant piece of Cameron Diaz... 's shirt or something. At least that's what it looks like. Numbered out of 20 and I think I got a pretty good deal. My only problem comes with how to display cards like this. I've paired my celebrity memorabilia and autograph collection with 8x10s, but putting them on the wall takes up a ton of space. I've thought of setting up some lightweight sliding movable walls and just rotating which ones are shown occasionally. Until of course I get a house where I can have a movie theater. I ended up back at Target this afternoon and stopped at the card aisle to see if anything there could entice me. I basically had my choice of Opening Day and Heritage blasters or one of those $9.99 hanging boxes of regular Topps. If you read the title of the post you know which one I chose. I picked the Topps box because it comes with a Diamond Giveaway code card and a Target-exclusive card I need for my big collection. Which I think I have coming from an eBay win. But oh well. I'm not going through all the cards. No SPs or anything exciting like that. 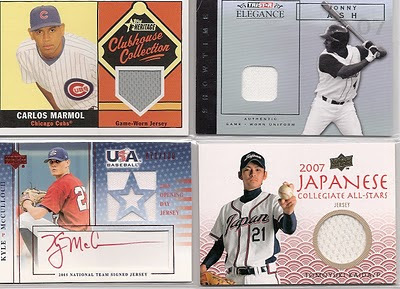 I pulled Jeter, Halladay, Hudson, Varitek, and Rolen, amongst a ton of semistars and commons. 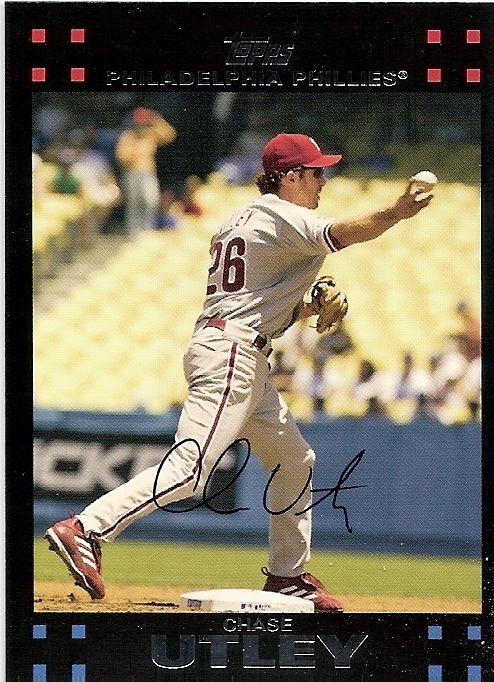 I used to really like Rolen. As for inserts, I pulled an Aroldis Chapman Kimball Champions, Chase Utley Target Exclusive, Vlad Guerrero ToppsTown, Carlos Carrasco diamond parallel, ANOTHER Stan Musial 60 Years Lost Cards, my second History of Topps (1994), Wade Boggs/Kevin Youkilis Diamond Duos, and Duke Snider and Nolan Ryan Topps 60 cards. As for the one-per-box Diamond Giveaway code, well, you see above what I got. '77 Dave Tomlin. I wonder if I'll be able to trade cards for rings. If I can get to 45 rings for that set I'll be quite happy, and maybe someone else will be too with actual cards. There's no way I'm going to be able to get another 30+ codes just to try to trade rings without buying them, and I don't want to do that. Those codes are going for about $5 each. 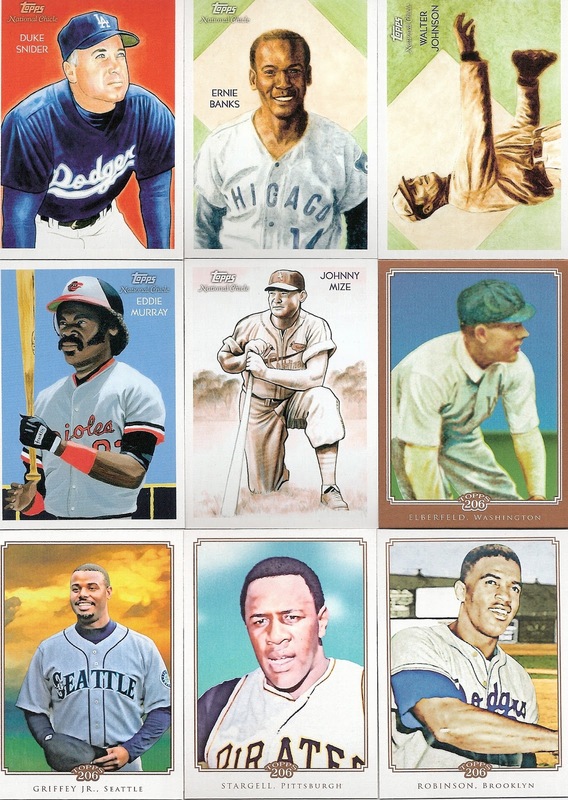 I don't even want the cards - unless of course I'm going to be redeeming all 1950s cards. I'll add these in to the (otherwise updated) Topps trading list. I actually only need 15 more cards from this issue to finish the sets I'm collecting (including one base card - #24, Neil Walker apparently). I may have a bunch of the CMG cards coming to me soon, but I'm still open to trades. Speaking of trades, I just sent off four packages today. This more than doubles the total number of trades I've completed since starting this blog. And there are a couple more in the works. And I have one I received that I need to post about! Okay, so there's a little bit of a (slightly boring) story here. If you're not interested, skip on down a couple paragraphs. 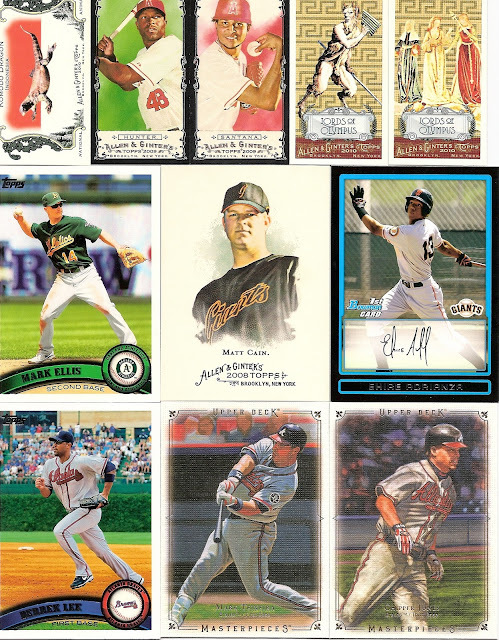 I will post cards available for trade on the trade bait page. Still with me for the story? You're the only one! I set out Sunday afternoon with three goals in mind. First, to drop off some old stuff at the Salvation Army. 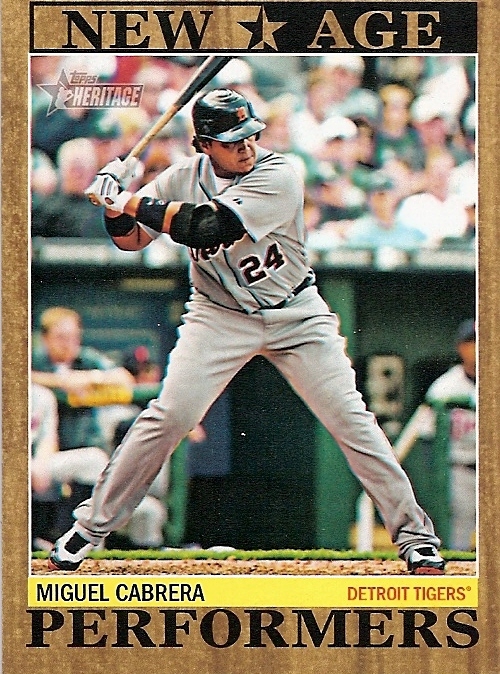 Second, find some retail 2011 Heritage in blaster or hanging form. Third, buy earthquake supplies. The first task was easy, and set me up for a looping path where I could check three Target stores within five miles of each other. The idea was to check each store for the Heritage, and buy my earthquake stuff at that store. Well, I should have known better, and I did. This is the San Francisco bay area, and everybody goes out on the weekend to do shopping and leisure activities. But I still was on a mission, since I was out. The recent rains flooded the ramp from one freeway to another, meaning I had to take a detour. And my detour required another detour due to traffic caused by utility work. Arriving at the first Target (in a mall), it took me about three minutes to search and verify there were no packs I was looking for. I found some regular retail packs scattered in the wrong boxes but passed. On to the next Target, located in a different mall. This one can have insane traffic, and today was the worst I'd ever seen. It took me about 15 minutes to get to a parking space, and I didn't go up and down a bunch of aisles to find a close one. Finally, I got to the tiny card space in this one, and they had nothing. 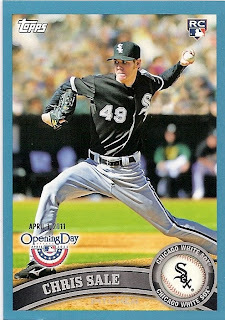 No 2011 Topps, no Opening Day, nothing. 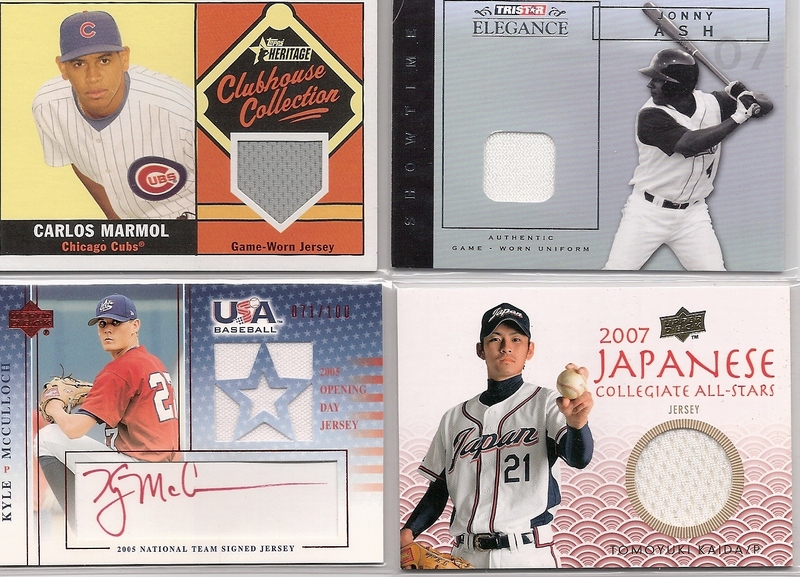 There were some non-baseball boxes, but pickings were slim, and I don't do other sports. Argh! Back to the car. The third Target is across the freeway, but requires fighting traffic again. I know a good back route over, but I cursed all BMW drivers along the way as two of them cut me off within two minutes, failing to yield at two different stop signs. I pulled in, found the first spot I could, took a deep breath, grabbed a cart, and headed to the third card stash of the day. I saw an empty Heritage gravity feed and a good bit of 2011 Topps packs and hanging packs, but it looked like I was out of luck. Oh, but what's this? Finally! Third time's the charm! Blister packs with three packs and three black parallels each! There were about five on the peg, and I grabbed two. And then, for the next hour and a half, went up and down the aisles grabbing canned goods and supplies to replace the old earthquake kit. I was pretty happy finding what I was looking for and tired from all that shopping, and I hope you appreciate the great amount of effort I went to for this post! And now, what did I find? Two three-packs. Each pack has 9 cards, and each three-pack has three black parallels. Nothing special. A couple inserts. No tints or chromes, and a MGR SP. Well, that's more like it! A hit! It's the easiest hit to get, but I'll take it. And as expected another SP, and another insert. I'm not sure I like the black parallels, but I think they might grow on me. I'm not putting together any of this set but I will be keeping some of the cards for parts of my collection. I've never been too big a fan of the Heritage line as far as set collecting for me. And while I understand the SP concept, I think they should do it right - make the set the same number of cards as the original, and do SPs the same basic rate as the original (so this set would have 587 cards, and 371-446 would be minor SPs, 447-522 SPs, 523-589 super SPs, etc. And be completely true to the set you're honoring - put all the subsets in the same number in the same location. I like the Heritage idea and don't knock anyone who enjoys collecting it - it's just not my cup of tea. I do like that wood grain look, though. 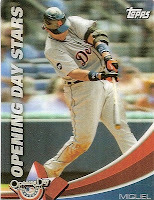 Of course, the base cards look the same as the regular Topps issue, so they look fine. Did the regular issue have the position printed below the player's name? I'm not sure. I like the blue parallels. They have a nice light sparkle to them and they're not gaudy. The ToppsTown inserts look exactly the same as the regular issue as well. 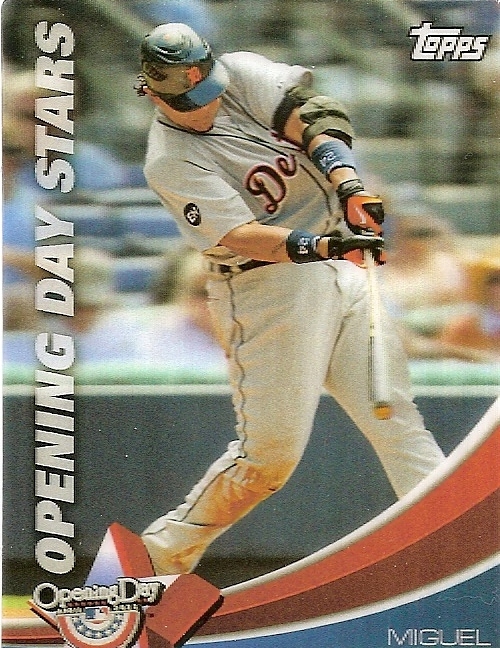 The mascots look exactly the same as the base cards, but with the foil "April 1, 2011" over the Opening Day logo like the blue parallels. 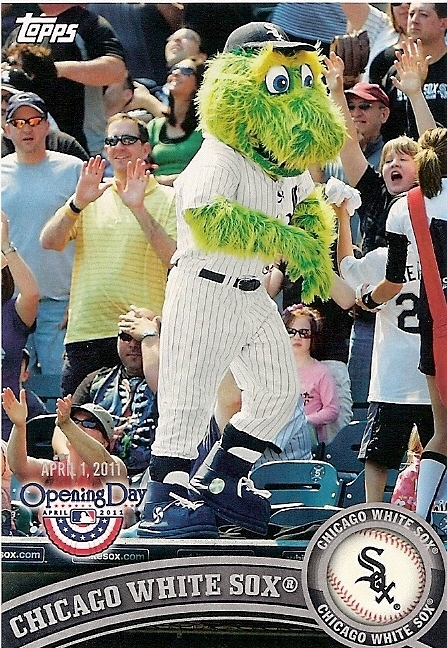 Why is the White Sox mascot card not called Southpaw? 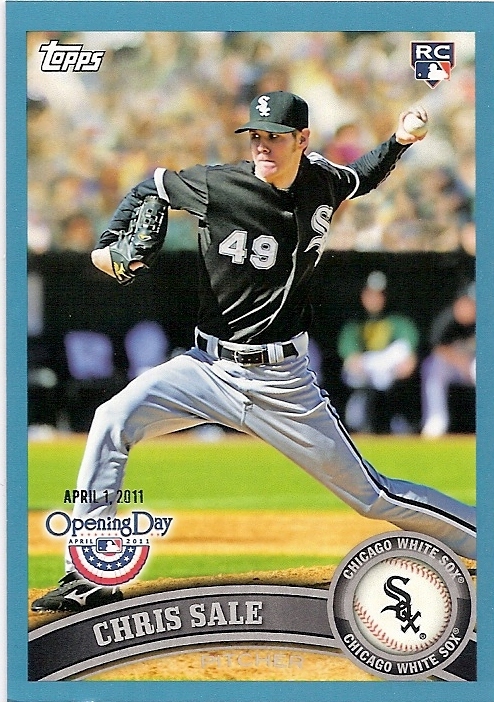 The back of the card calls him Southpaw, but the front just has the team name. I like the idea of the Spot the Error set, even if it is easy. The design reminds me of a 1990s Stadium Club insert set. The Superstar Celebrations cards look patriotic but being horizontal with wide top and bottom borders they look like a widevision image. The Stadium Lights set looks nice, even if all the pictures I've seen don't appear to be action shots. Opening Day Stars are nice 3D looking things, and the Presidential First Pitch are nicely designed as well. I should note that I've seen two different Opening Day Stars sets. 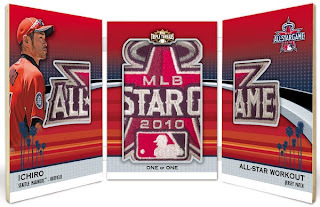 The Opening Day Stars set comes in a non-3D version (I haven't looked at the checklists to see if they're different). New pages and a stack of mail! 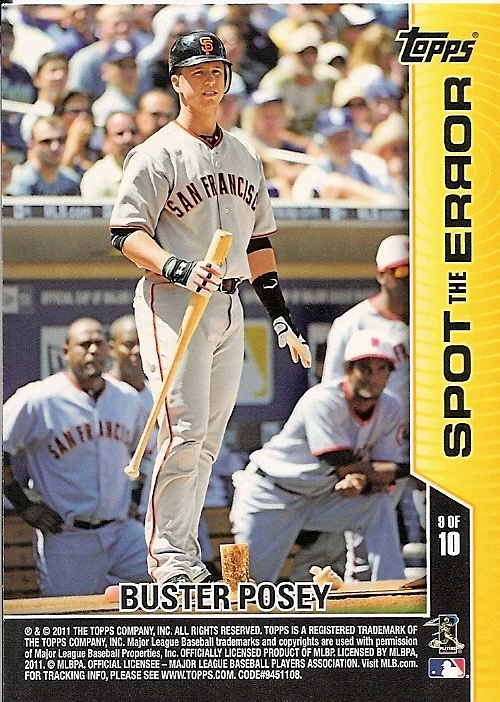 2009 Upper Deck Series 1 box break. The finale! We interrupt this box break for a pack break! Box break going on at Nachos Grande! Mail day(s). I'm so far behind! My very first trade post! Is It Junk-Wax? A reply. Yesterday's Mail Day - a Ton of Fun! Today, I pose a question. Group breaks! Yeah! Check them out!